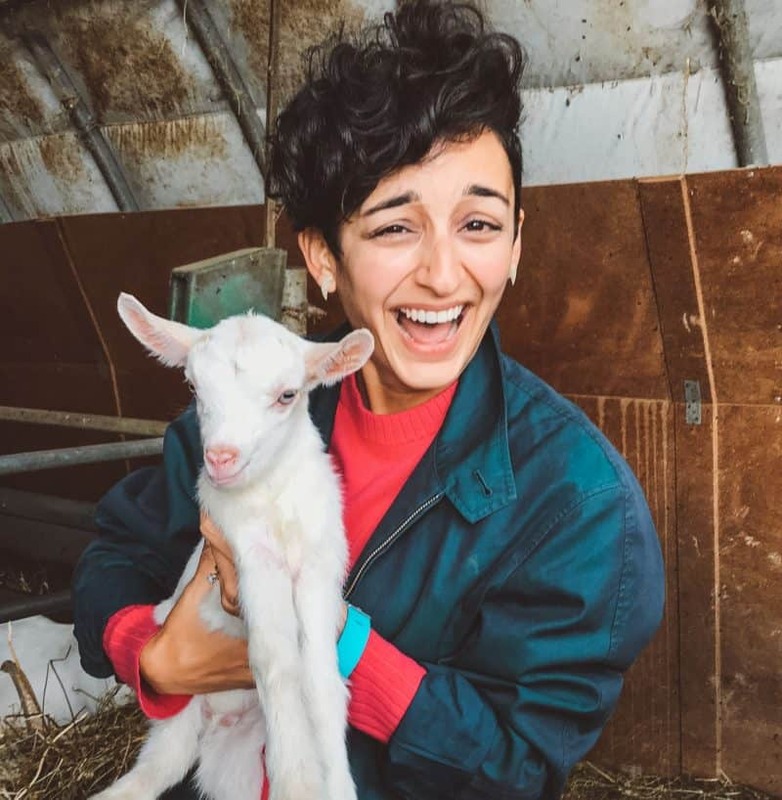 If, like me, you wish you were skilled enough in the kitchen to be able to cook restaurant recipes in the comfort of your own home, I’ve got something for you. I spent a truly terrific day alongside a couple of kitchen heroes from world-famous 2 Michelin star restaurant Le Gavroche, as part of a London Restaurant Festival experience (more about that here). 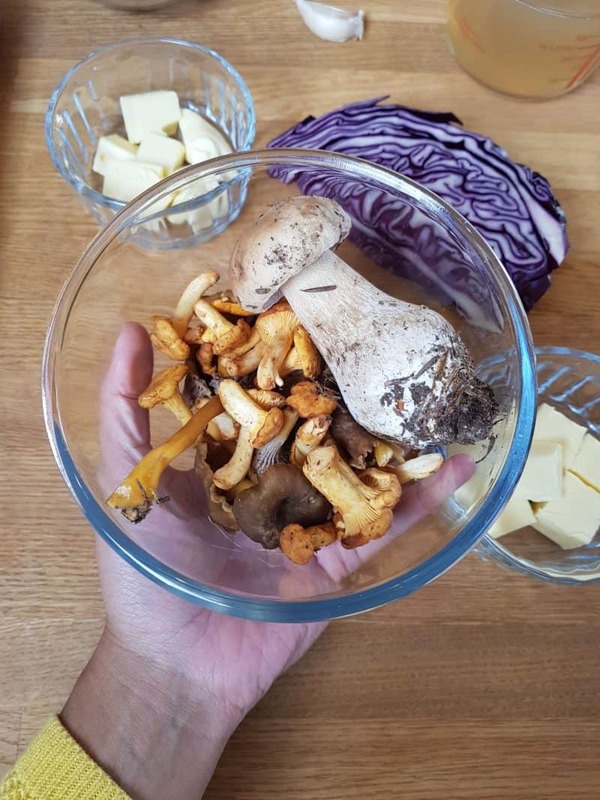 Using the great bit of kit that is the Kenwood Chef, I was taught how to make restaurant quality food, by people who really know what they’re talking about. My eating skills are second to none, I’m putting that out there. But when it comes to cooking, there is still a lot I have to learn. Something I’ve always wanted to be able to do, is have the skill set, and confidence, to cook restaurant quality food in my own kitchen. I’ve attended a lot of great London-based cooking classes before. There was a day of Chinese steamed bun fun at The School of Wok. 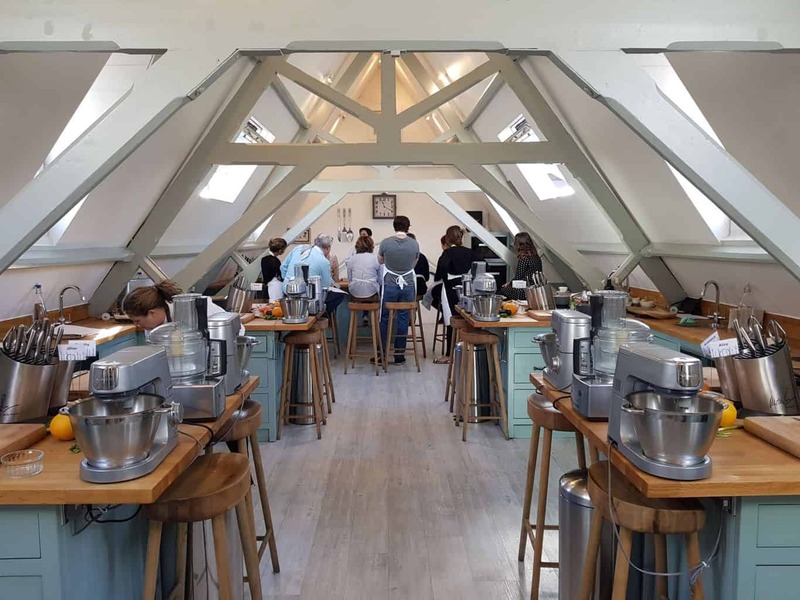 I’ve taken part in a bread masterclass at L’Atelier Des Chefs, where I rustled up four different types, plus doughnuts. And I recently learnt how to knock up some classic Spanish tapas at Jenius Social (with plenty of red wine). But never before have I been presented with the opportunity to learn how to cook restaurant recipes, by the Executive Chef of a 2 Michelin star restaurant. What an absolute dream. 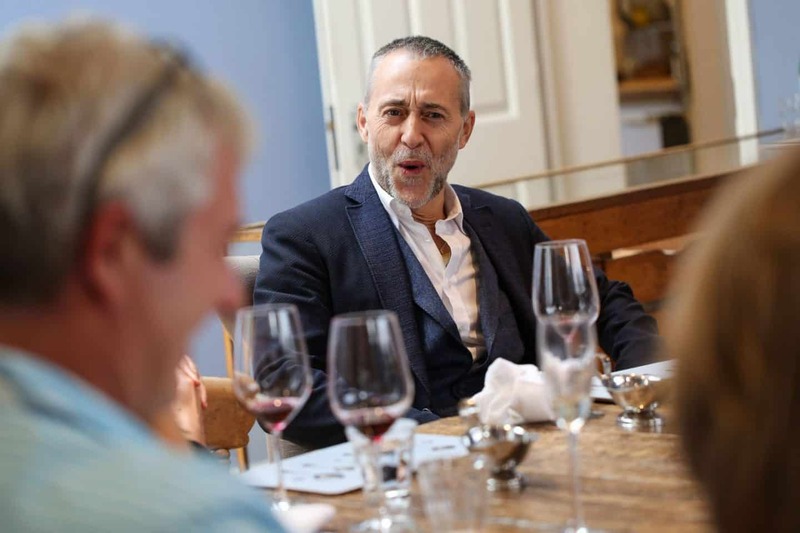 The London Restaurant Festival is a terrific annual London food festival – a city-wide celebration for what is one of my most favourite social activities, eating out. Over 350 restaurants get involved, with special menus and exclusive ticketed events available for a whole month. They’re a grand old age of nine, but this is the first year they’ve introduced ‘Restaurant Recipes’. It’s an experience that starts with learning to cook celebrated dishes from some of London’s most iconic restaurants, and finishes with dinner in the restaurant itself. It’s a really fab way of combining the best of London’s cookery schools with some of the city’s finest restaurants. 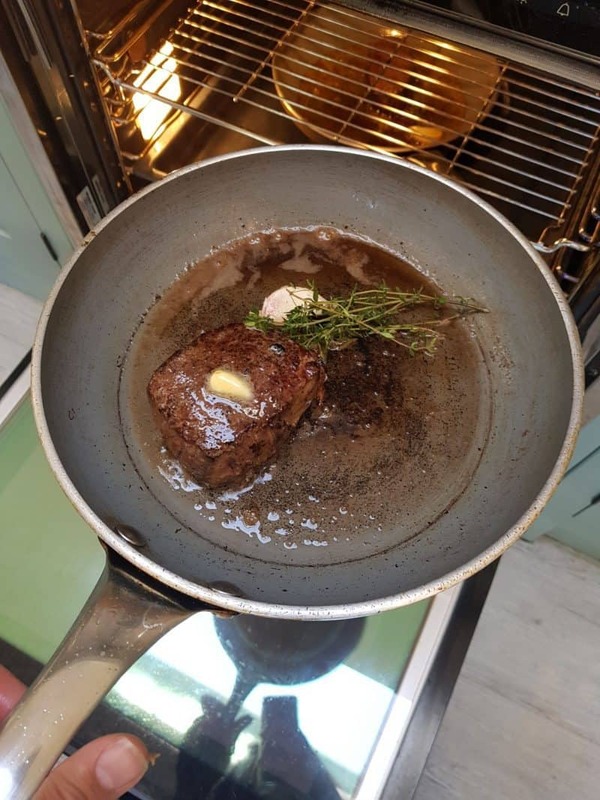 ‘Cooking the Roux Way, Le Gavroche Special’ was one of these events on for this year’s festival, and I was invited to come along. As if there was any chance I was going to turn this down. 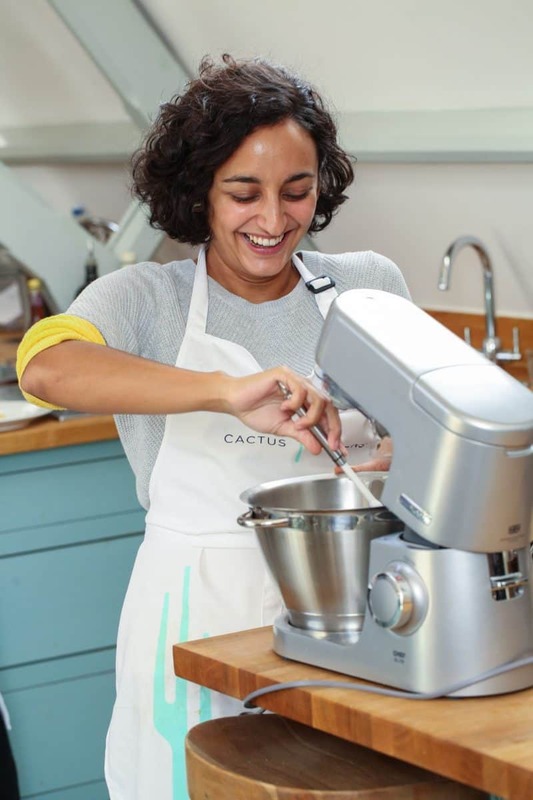 Along to The Michel Roux Jr Cookery School at Cactus Kitchens I trotted on a bright Friday morning. 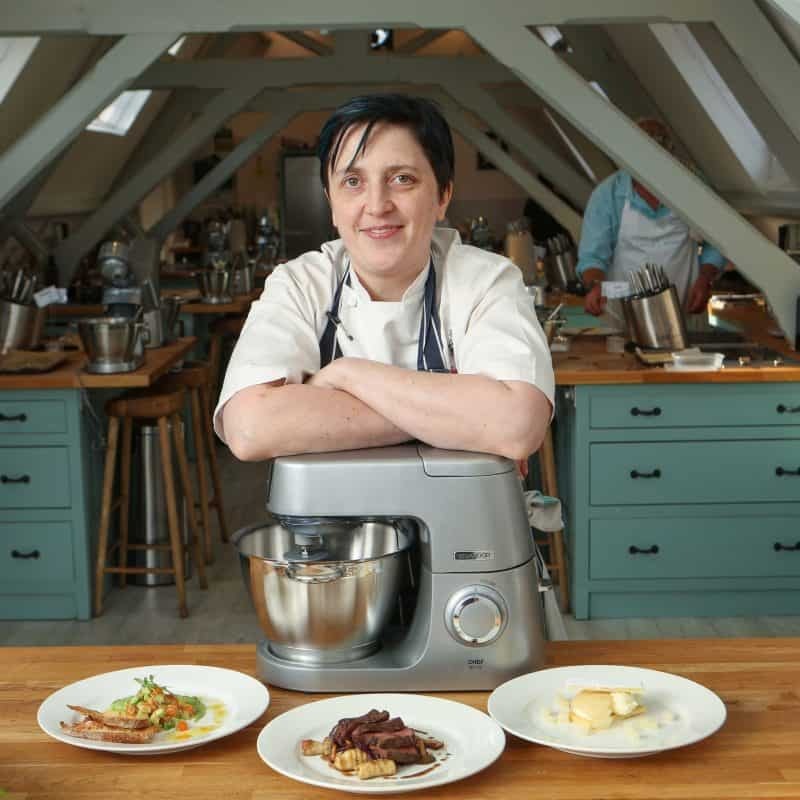 A six hour cooking extravaganza lay ahead, with the very lovely (and extremely patient) Executive Chef of Le Gavroche, Rachel Humphrey, showing us how to cook a restaurant worthy three course meal. A note to the main kitchen kit in question, the very stylish and extremely versatile Kenwood Chef (more about that here). Everyone knows they’re one of the most trusted brands in the kitchen – I have a well used KMix at home. 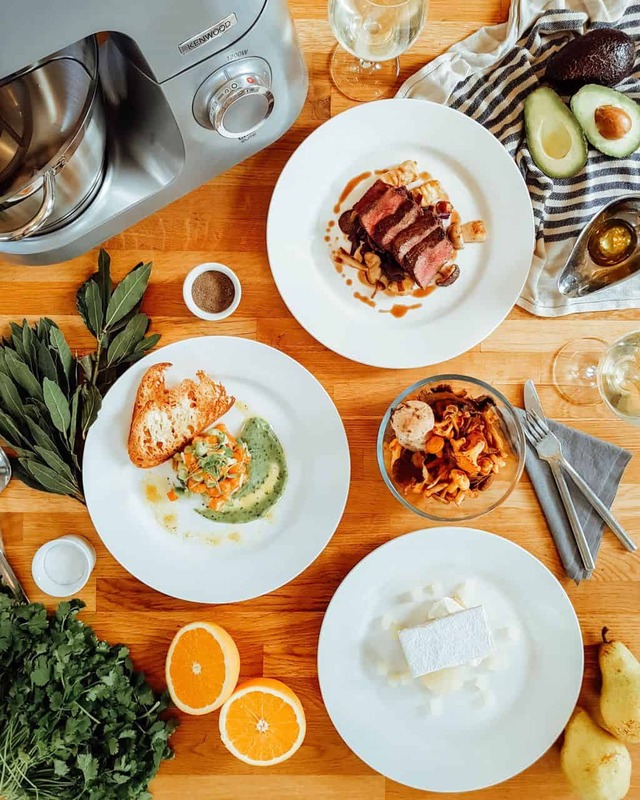 But this particular machine, the Kenwood Chef, is especially great for those who want to push the boundaries in the kitchen, and explore their own capabilities a little more. 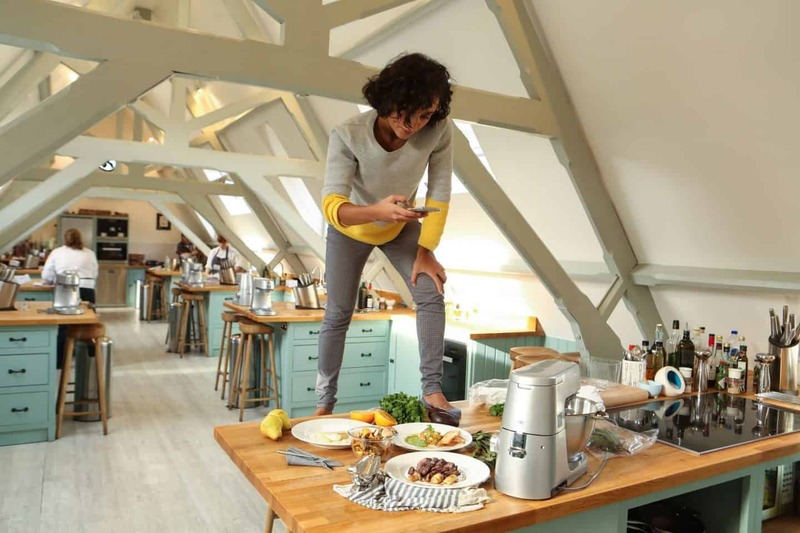 It has over 25 attachments, including a pasta maker, an ice cream maker, juicer, food processor, and heat resistant blender. A veritable Swiss army knife of kitchen gadgets. 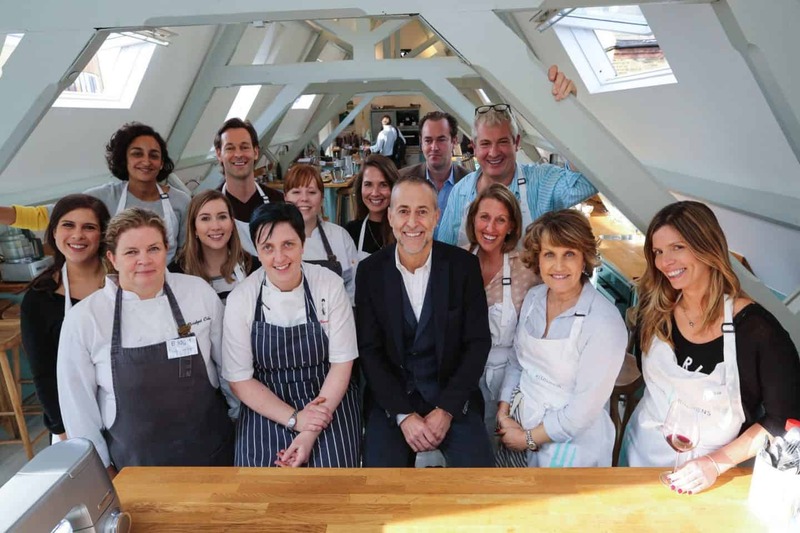 Despite our united fear of embarrassing ourselves in front of such an esteemed chef (Rachel has been at Le Gavroche for no less than 21 years), all ten of us in the class did ourselves proud. 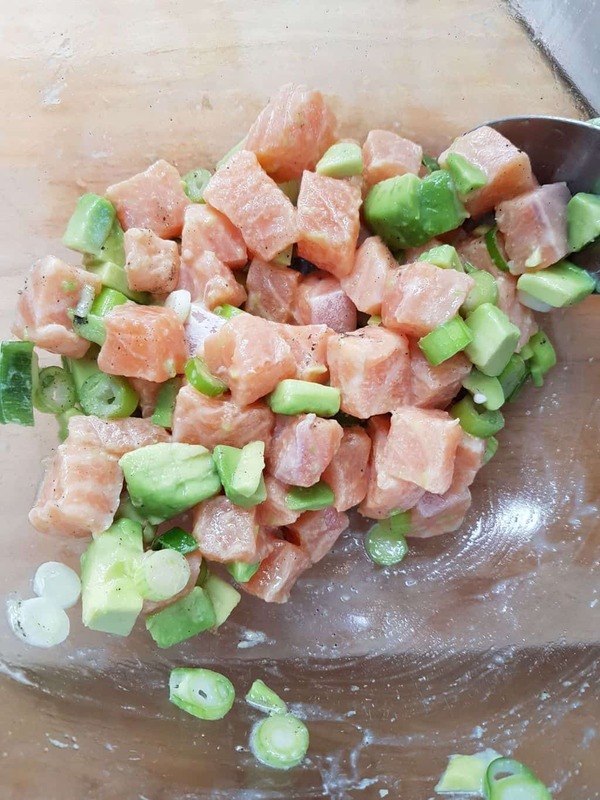 We each rustled up a starter of salmon tartare with avocado and orange dressing, roast venison with gnocchi and wild mushrooms, and a dessert of poached pears with sablé breton and vanilla cream. I then of course scaled the tables to get a flay lay of my creations – hence the main image above. The things I do..
Everyone remarked on how we thought we could definitely replicate these at home; the end results were so impressive, but they were actually not too difficult to make. Perhaps I really will try these at home. Time to organise a dinner party. We cooked a course, then ate the course, then moved on to the next. There was plenty of wine flowing throughout, which I am lead to believe only improved my kitchen skills. In fact, I’m certain it did. The presentation of my venison was far superior than that of my salmon starter. By the time we were on dessert, I was pretty confident Rachel was ready to hire me. 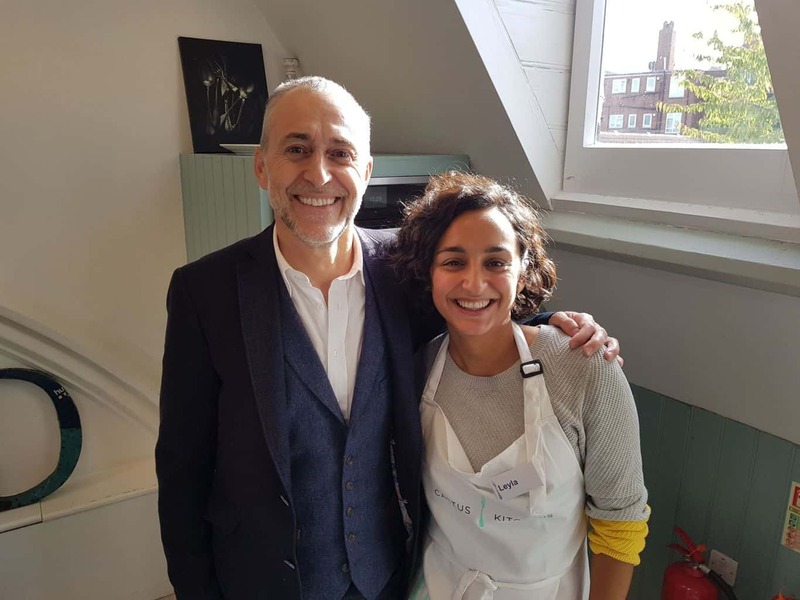 As we sat down to enjoy our mains, none other than Michel Roux Jr popped in to say hello. Le Gavroche is his, and it was his father and his uncle who opened it back in 1967. He answered all of our eager questions, took some photos with us, and was an all round very lovely person – exactly how he comes across on TV. 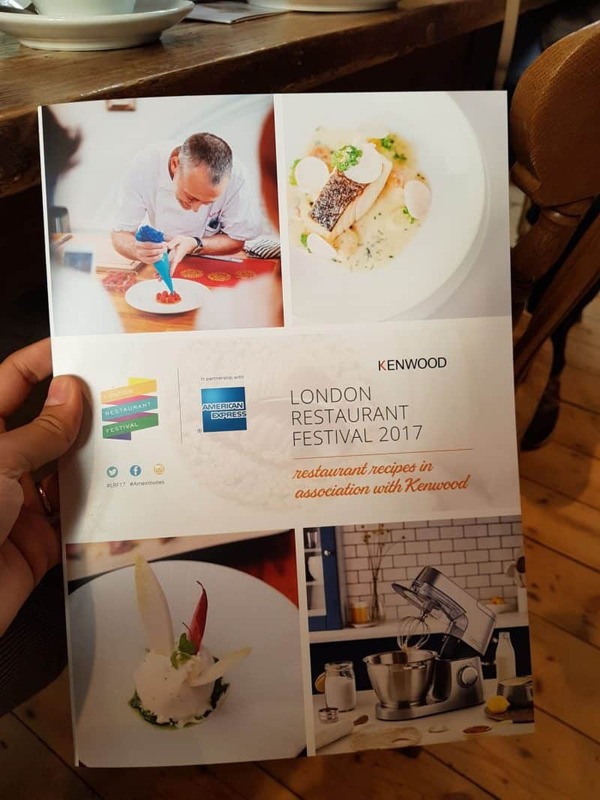 As if this wasn’t all totally awesome enough, the London Restaurant Festival ‘restaurant recipes’ experiences also include dinner at the restaurant in question. Getting a table at Le Gavroche on a Friday night has a waiting list of around three months – it was an absolute treat to be there. Plus, the maitr’d allowed us in the engine room to observe a 2 Michelin star kitchen in action. I could have watched them plating up on the pass for hours – it was hypnotic. Don’t miss out on these totally exclusive London Restaurant Festival events, this year and in the years to come. And if you’re looking for a new best friend in the kitchen, you don’t need to look much further than the Kenwood Chef. 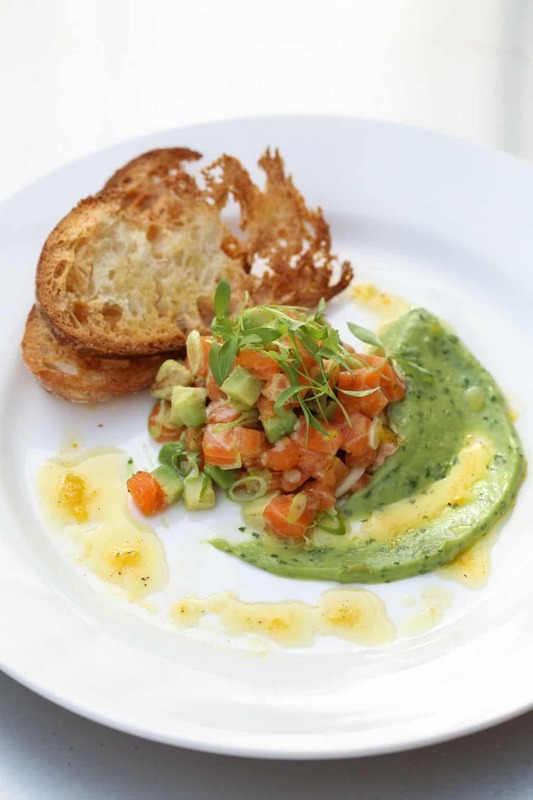 Have you ever attended one of the London Restaurant Festival events? Do you go to any other London food festivals? 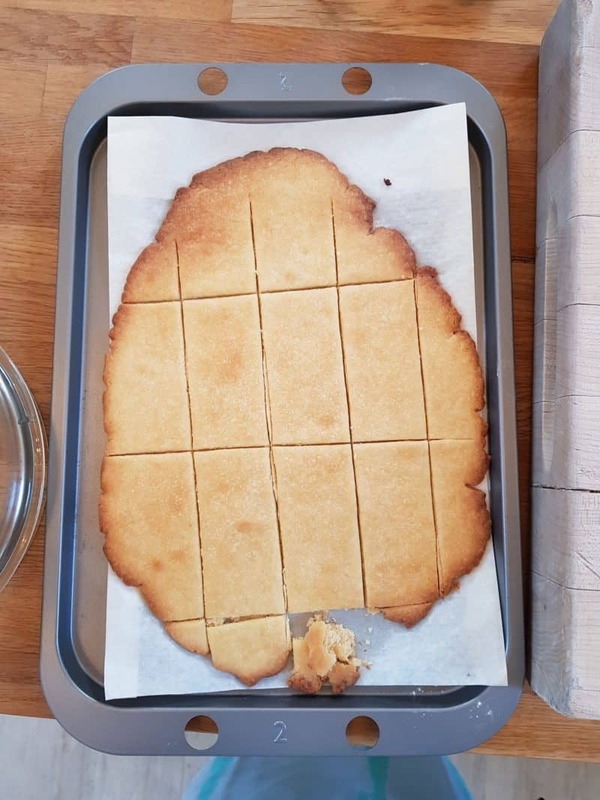 Do you try to cook restaurant recipes at home? If so, how did it go? 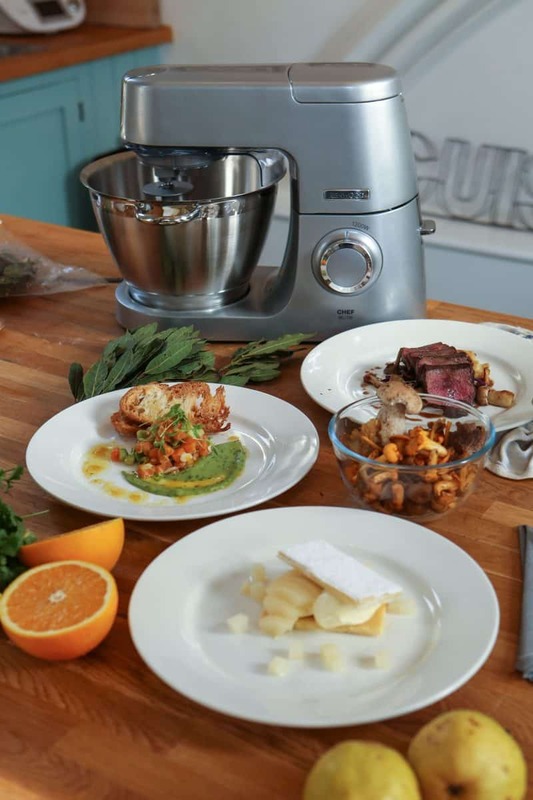 Do you have a Kenwood Chef, or any other Kenwood products? If so, what do you think of them? 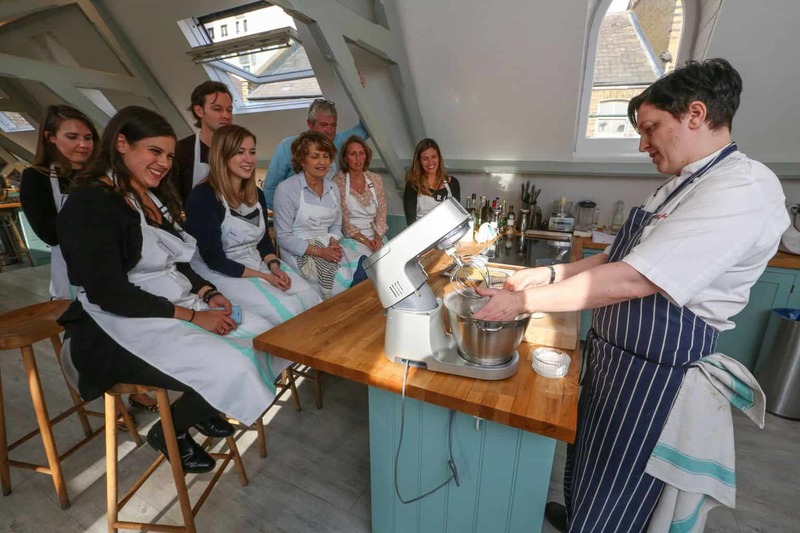 Have you done any great cookery classes recently? Do you like to eat out, and have you ever eaten at Le Gavroche? Let me know in the comments below! Note: This is a sponsored post in partnership with Kenwood. I feel supremely chuffed they invited me along to take part in this truly awesome experience. All views remain my own, as always. And many thanks to Alex Maguire Photography who was the official photographer of the event, and has kindly let me use his imagery. Which is most of what is in this post, because they were much better than mine.